Thank You CanYouHandlebar for your support of the 3rd Annual Bluegrass Beard On! Thank you Dr. Squatch for your support of the 3rd Annual Bluegrass Beard On! Thank You Firehouse Moustache Wax for supporting the 3rd Annual Bluegrass Beard On! Thank you to Grandpa’s for sponsoring the 3rd Annual Bluegrass Beard On! Join TitleBeard for a day of beard care brought to you by The Mod Cabin! 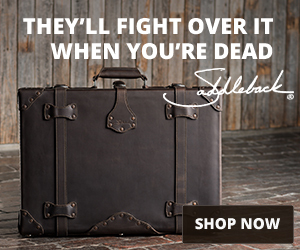 Thank you Saddleback Leather for sponsoring the Bluegrass Beard On and the Best in Show category! Dr. Squatch Soap Company Review Updated! Learn more about the updates made to the review of Dr. Squatch Soap Company!